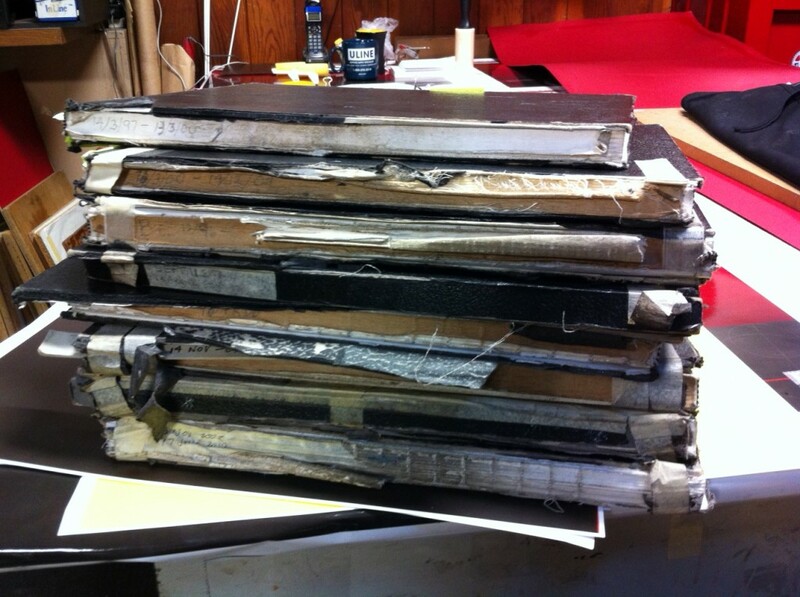 Most of the spines from the original cases had fallen off these sketchbooks. 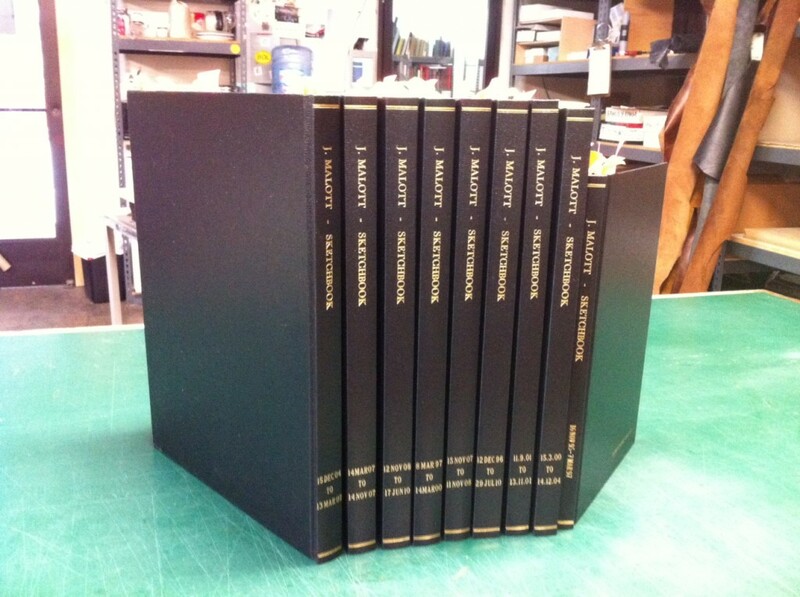 Because the machine sewing on these books was still in good shape, I cleaned off what I could of the original spine lining material and added new linings and hinge cloths. 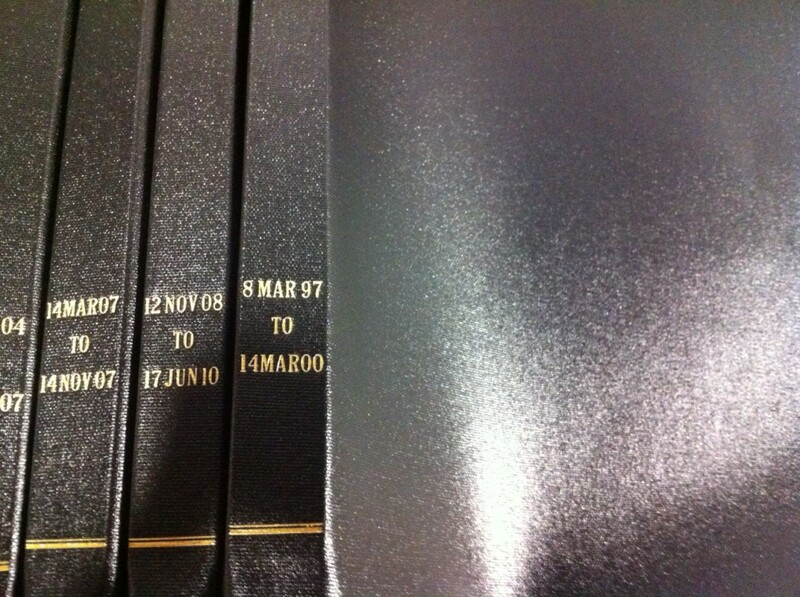 Next, I stamped the top portion of the new case spines. 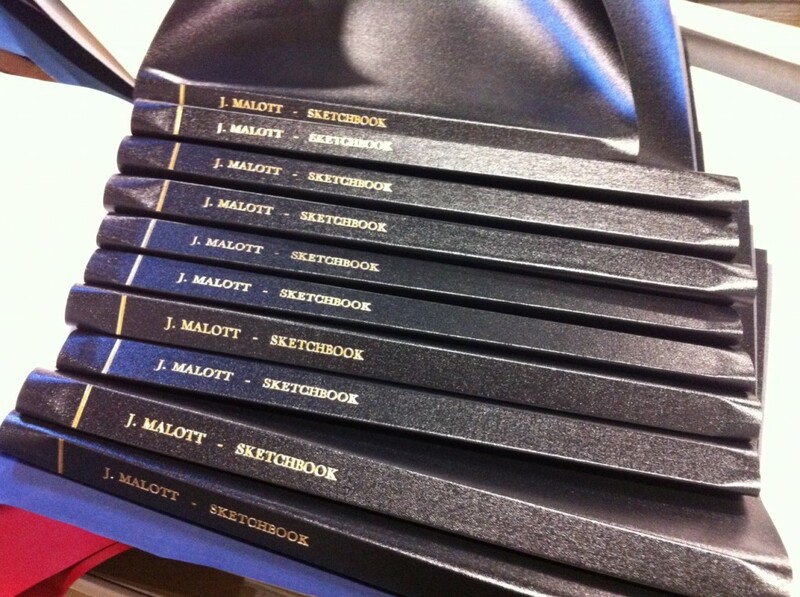 The client wanted the dates the sketchbooks were in use to appear on the spines. 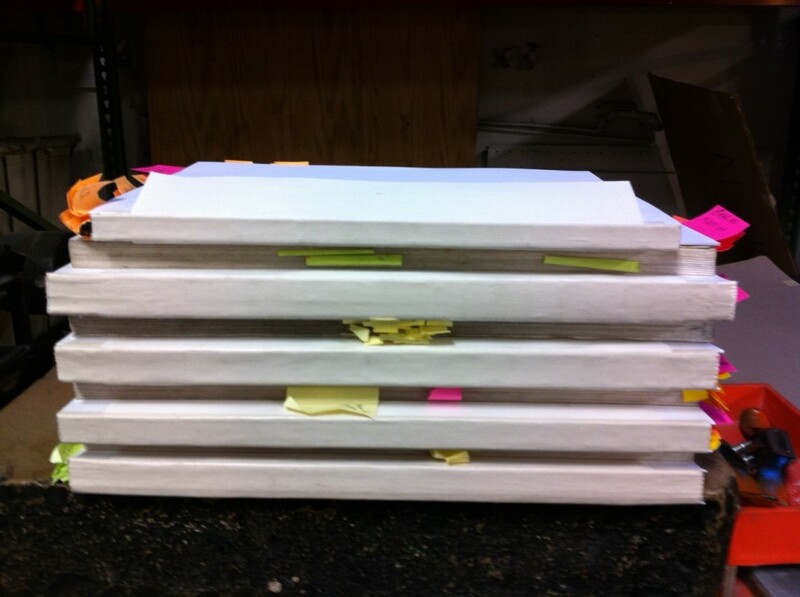 Each book had a different set of dates and so I set the type and stamped them one at a time. 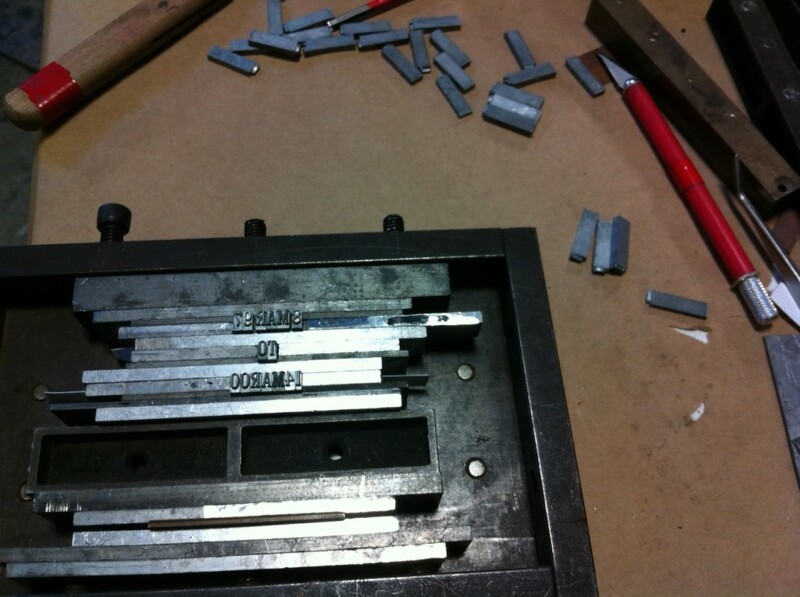 I finished building the cases once I had completed the stamping. 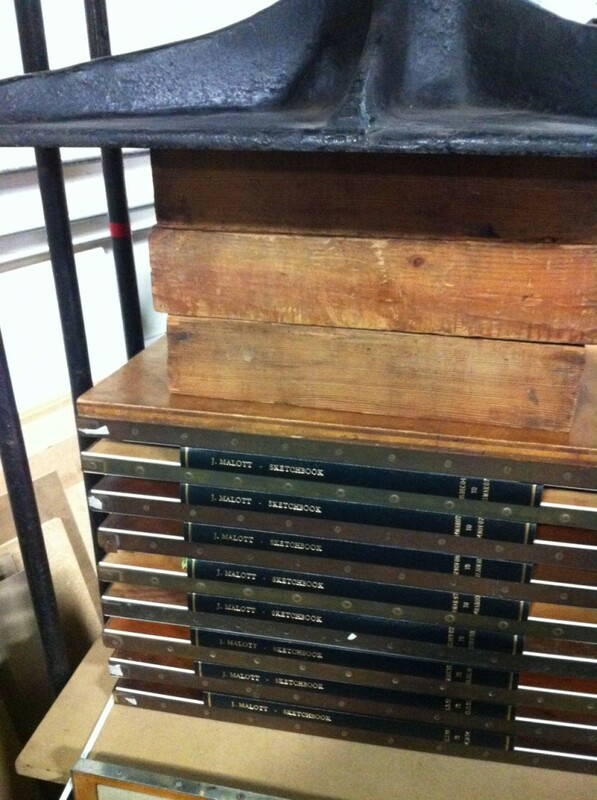 Then each book was cased in and put in the press where they were kept overnight.